I love words. In the right combinations these concoctions of letters give our thoughts a voice. The ah ha moment when a child discovers the power they possess when they write can be as magical as when a superhero discovers his or her unnatural ability. This awakening to expression and control of language allows people of any age to realize they have the ability to persuade, explain and create feelings in others. One of my mottos is, “If you can think it you can write it.” Take time and celebrate the magic of words with a child. Write with them. Don’t worry about spelling. Don’t fret over handwriting. Words are free and they offer freedom. 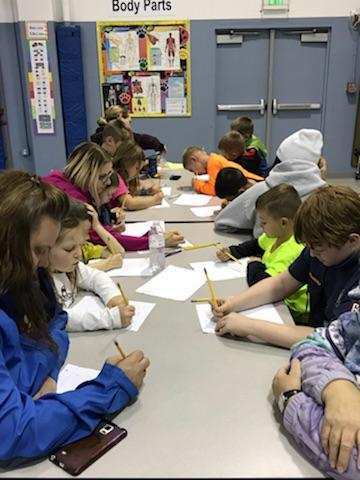 Families writing together at a literacy night at Garden Heights Elementary in Moses Lake, Washington last week.